Garlic and rosemary! A recipe that showcases garlic and rosemary always gets my attention. I came across this one at epicurious.com; it was originally published in the February 1996 issue of Bon Appétit. One thing I like about epicurious is the fact that you can read reviews of the recipes. 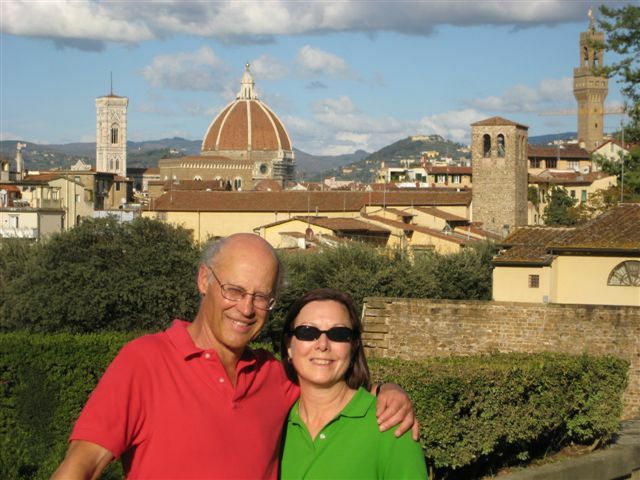 They often have good suggestions for improving the recipes. 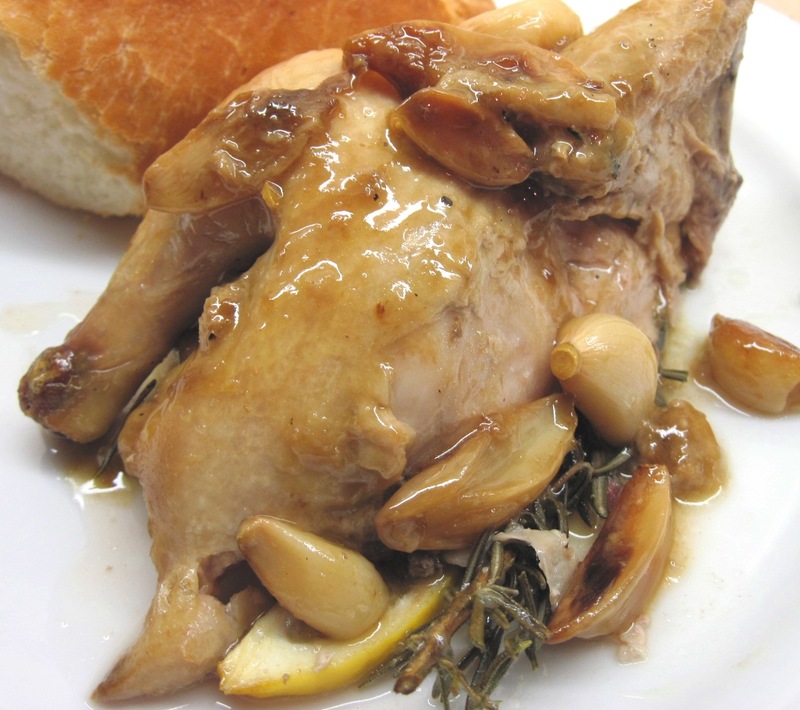 Many of the reviews for Cornish Game Hens with Garlic and Rosemary commented on the deliciousness of the sauce; they recommended doubling the sauce ingredients. That’s exactly what I did and it was perfect! The most tedious part of this recipe is peeling the garlic, but that task is much easier with an inexpensive garlic peeler. It’s one of the most-used gadgets in my kitchen. Most Cornish game hen recipes allow 1 whole game hen per serving; I find that a 1½ pound game hen serves 2. A good French bread is great with the game hen and sauce! Rinse the game hens and pat dry with paper towels. Sprinkle salt in the cavities; put half of the lemon in each along with a sprig of rosemary. Put 2 cloves of garlic in each hen. Use 1 tablespoon of olive oil to rub all over the game hens. 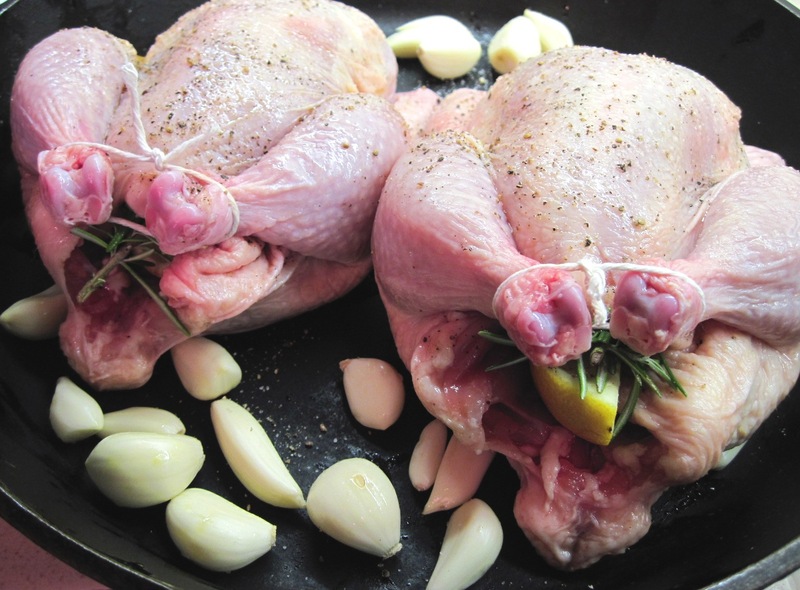 Tie the drumsticks together with kitchen twine. Salt and pepper the outside of the game hens. Roast the game hens for 25 minutes. Reduce the oven temperature to 350˚. Pour the wine, chicken broth and remaining 2 tablespoons of olive oil over the hens. Roast for an additional 25 minutes, basting with the sauce a couple of times during this time. Remove hens to a cutting board or platter and cover with foil. If you’ve used a roasting pan, pour the juices and garlic into a saucepan. If you’ve used a cast iron skillet, you can continue with the sauce right in the pan. Boil the juices until they reduce a bit and become a nice sauce. This will take just a few minutes. Cut the hens in half lengthwise and serve with the sauce and garlic. 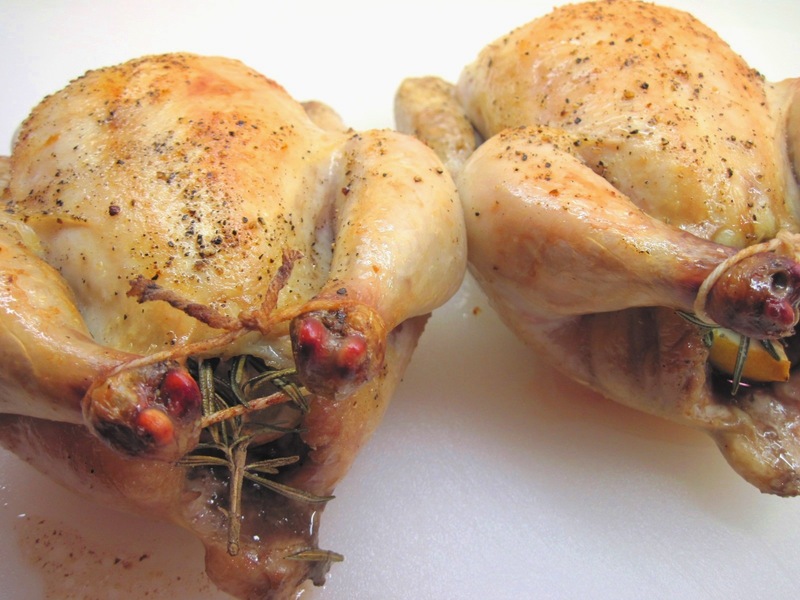 I’ve always wanted to try making Cornish game hens…they somehow look so decadent! I think you’ll like this recipe! Easiest way to peel a large amount of garlic is to push on the pointy part of the garlic head to break apart the garlic into cloves. Then place them all in a bowl and cover with a plate. 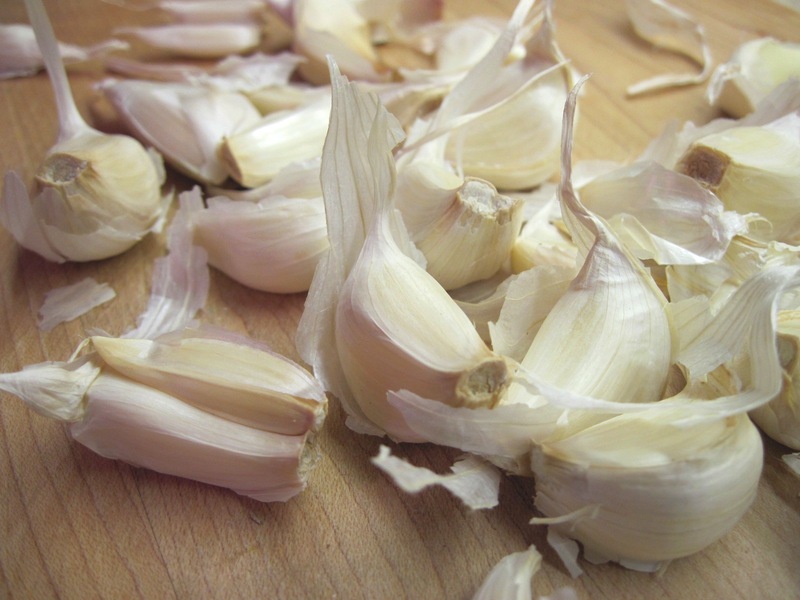 Shake up and down quite vigorously and in about 10 seconds you have peeled cloves of garlic. Fast, easy and no need for another kitchen gadget. Recipe sounds great…..gonna give it a whirl.